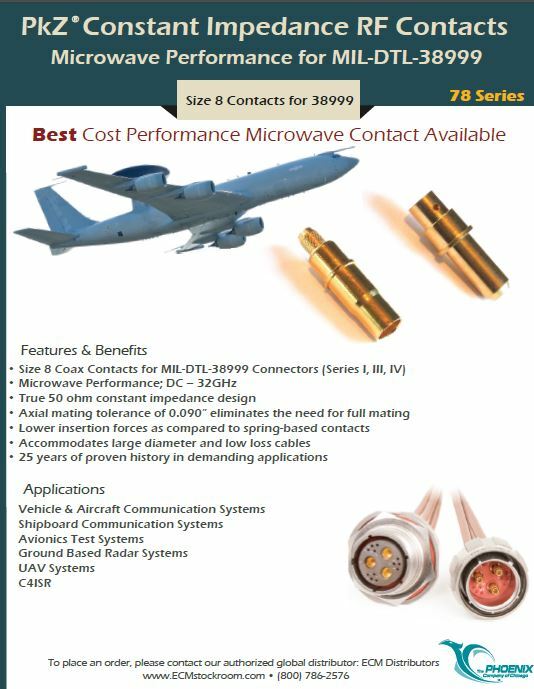 To accommodate large radial and axial misalignment tolerances found in modular applications, the PkZ® series of Blindmate RF Contacts offer an unmatched design; featuring constant impedance up to a .090” axial mating tolerance -the widest available among blindmate contacts. A common problem in modular applications is the tolerance stack-up in hardware that can prevent RF contacts from fully mating. The PkZ technology no longer requires full mating to achieve constant impedance, eliminating elaborate methods such as an internal spring to overcome mating gaps and guarantee full mating. With low insertion forces and no internal engagement spring, the PkZ sets the standard for both reliability and high performance. 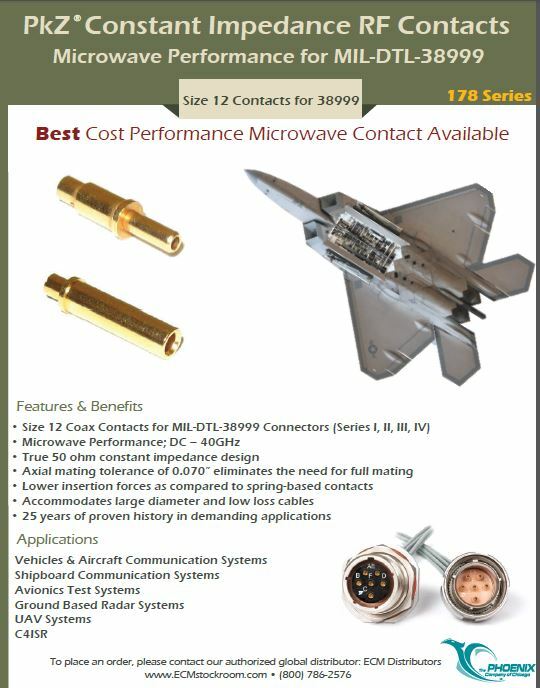 The PkZ series of constant impedance blindmate RF contacts are designed for a wide range of connector housings including: D-Subs, High Density D-Subs, DIN 41612, 4-Position Inserts, ARINC, MIL-DTL-38999, and Custom Housings. 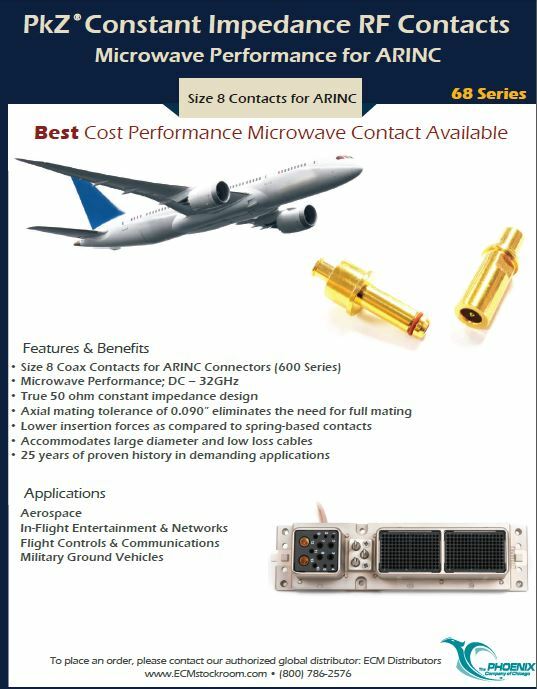 Phoenix’s newest product lines include: High Mating Cycle RF Contacts; rated to a minimum of 60,000 mating cycles, an array of High Density RF Contacts and Housings, and the expansion of the PkZ series of Blindmate Constant Impedance Contacts of varying sizes, frequencies, and non-magnetic materials.